Change Config or Spend More Money to Fix Surface Pro 3 Slow WiFi? People who purchased the Microsoft Surface Pro 3 have been complaining since June of slow WiFi speeds. Microsoft has not specifically addressed this issue or acknowledged that they are aware of this particular issue. This makes it tough to determine if or when a fix will be forthcoming. A little background information on 802.11ac may be helpful for some people. The faster “ac” speeds apply ONLY to the 5 GHz band. If you are expecting supersonic speeds and are using a 2.4 GHz only 802.11n or 802.11g router, this isn’t going to happen. To truly take advantage of 802.11ac, you need a current generation 802.11ac dual band router (and currently, with the SP3, you need to specifically and deliberately attach to the 5 GHz band). There’s not much you can do to resolve slow speeds with 2.4 GHz only routers, but you can perhaps get incrementally better speed in a congested area if you try a couple of things. There are lots of other devices that share the 2.4 GHz band and are potential sources of interference like microwave ovens, old 2.4 GHz cordless phones, and Bluetooth. Some folks may be using add-on keyboards that attach to the Surface Pro 3 via Bluetooth and are connected to 2.4 GHz wireless routers. Bluetooth and 802.11n 2.4 GHz share/overlap in the same frequencies. It’s entirely possible that there is interference. This hasn’t been proven, but since they do share the frequency range, some but not all devices may be impacted. and then try to determine the least used channel (which will probably change anyway since all your neighbors are probably set to auto). I’m not sure this will provide much relief, but it is worth trying. You’ll get something like the output below. 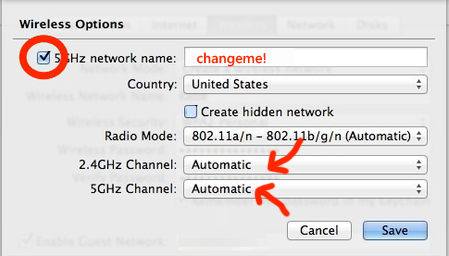 You can do this to determine both the least used 2.4 GHz and 5 GHz channel. There are 20 networks currently visible. 2. Change the channel width to 20 if it is set on 40 or auto. Some routers (Apple has been doing this for years) ship with both the 2.4 and 5 GHz channels set to the same SSID (name). Other vendors have started doing this, some by default, others let you specify this optionally. It’s marketed as an “Smart Connect” type config where the “best” channel is selected by the client/router automatically. I asked a couple of users in the Microsoft Surface Communities forum about their config and learned that they were using the same name for both SSIDs. I asked them to make a change and specify unique SSIDs and attach to 5GHz. They’ve reported their problem has disappeared. Similarly, people with Netgear, ASUS, and Linksys routers have changed to unique, separate names for the 2.4 and 5 GHz SSID’s, connected to the 5 GHz SSID and reported back that their issue is resolved. 1. Many of the newer 802.11ac routers are emphasizing using a single SSID name for all for smart connectivity that determines the best radio for a computer or device to attach to. This is an issue for the Surface Pro 3. The Linksys/Belkin WRT1900AC ships with the same name for both SSID’s out of the box. This is an issue for SP3 owners. The Netgear R8000 has Smart Connect features that depend on using a single name for THREE SSID’s. This is an issue for SP3 owners. Apple Airport Extreme Routers have used a single SSID by default for several years. This is an issue for SP3 owners. There are some folks who just prefer to use the same SSID and manually configure whatever router they own in this single SSID name configuration themselves. Sadly, while this is not an issue for apparently any other computer or device, it is an issue for the Surface Pro 3. There is anger expressed when I suggest changing the configuration. Sorry, you shouldn’t need to do this, but if you want better speeds, currently, this is required. 2. If you have a dual band 802.11n router, not an 802.11ac router, the issue is the same. 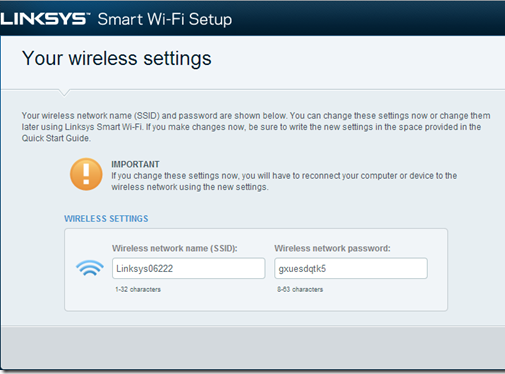 You need to use the 5 GHz SSID and configure separate and distinct SSID names. 3. If you are connecting to the 5 GHz band and are having speed issues, try setting the channel to the highest one available or to the lowest one available instead of “auto”. Again, Microsoft has not acknowledged this specific issue or acknowledged that a fix will be forthcoming. For those of you with 802.11n 2.4 GHz only single band routers, as I mentioned previously, you won’t enjoy 802.11ac speeds unless you upgrade to a a 802.11ac (by definition, dual band) router, configure it for separate SSID names and connect to the 5 GHz band. This is the current state of affairs. It’s up to Microsoft to fix.